Heavy lifting and unbelievable pumps? We've got 'em. All you need is a pair of cuffs and an iron will to get the best workout of your week! Don't believe anyone who tells you that old-school and new-school lifting can't play nicely together. In our popular All Access program, Project Mass: Jake Wilson's 14-Week Muscle-Building Trainer, the two styles of training are dance partners pretty much every day—and it definitely works in your favor. If you want evidence, look no further than this epic back and biceps workout from Week 13 of the training program. It starts you off with intra-set stretching—which the greats of the Golden Age used regularly during upper-body training—and finishes you off with the ultimate in contemporary muscle pump power: blood-flow restriction training. Here's what you need to know before the workout begins. Blood flow restriction training (BFR) is a cutting-edge, effective training technique that works by restricting blood flow to the veins, but not the arteries. When you restrict blood to the veins but leave the arteries open, you deliver blood to the target muscle without letting it leave. This restriction causes an increase in cell swelling. When your cells swell, they sense danger and eventually restructure themselves and get larger. That means bigger muscles for you! BFR training also causes lactic acid to become trapped in the muscle. 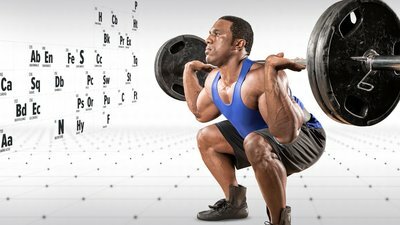 Lactic acid is actually anabolic, or muscle-building, and can turn on protein synthesis, so this is another novel way that BFR stimulates growth. You'll be doing a lot of pulling movements that engage everything from your lats and middle back to your shoulders, biceps, and forearms. For your initial sets of pull-ups, if you can't hit all 12 reps, that's OK. Nail as many as you can on the first two sets, and on the third and fourth, finish the set with a 30-second hang from the bar. It won't be easy, and it will make your lats seriously sore the next day. For the BFR biceps training, wrap the top portion of your biceps with a regular knee wrap or other type of cuff. The tightness level should be a 7 out of 10, but not much higher. You don't want to feel any numbness or tingling. If you do, you've wrapped too tightly. Secure the end of the wrap by looping it under the top layer and pulling tight. After you've wrapped your limb, let it hang free to test how it feels. If you feel numb or tingly, loosen the wrap a little. Next, because BFR works best with relatively light weight, select 40-50 percent of what you'd usually lift for a standard set of moderate reps, or even as low as 20 percent of your one-rep max. Lift 15-30 reps per set, and focus on squeezing the hell out of whatever muscle you're using. Between sets, rest about 30 seconds. These short rest periods will continue to drive blood into the muscle, increase the lactic acid buildup, and increase your pump. This trio of effects will deliver substantial growth! 1-2 minutes of rest between sets. Intraset stretching on the 3rd and 4th sets.